Along our road of discovery, we have come across a wonderful WordPress plugin that will turn your site into a robust data management system. We have implemented it on several sites, and have additional clients asking for it. 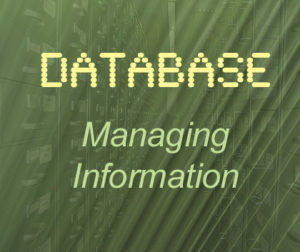 Yes, we know that WordPress is, in itself, a database. However, this plugin adds a separate database, that is particularly good for managing groups of people within an organization, or even for inventory management if you’re not in need of an eCommerce system. If you’d like to consider adding this function to your existing WordPress site, or are considering using us to build a WordPress site for you, please ask about it. We’d be happy to share more information with you.